"I have used Liskow and Lewis for multiple environmental activities from litigation to assistance in facilitating agency approval. They are very knowledgeable of Environmental regulations and use this expertise to their clients advantage. They fully understand the importance of timely responses. An extremely solid Environmental Law firm that can handle negotiations for settlement or full litigation." Lou Buatt is a highly-regarded business lawyer who helps energy, petrochemical, and industrial clients navigate and deal with complex environmental and energy laws and regulatory programs throughout the Gulf Coast. Clients benefit from Lou’s training and experience as a geologist along with his fifteen plus years of working inside government environmental and energy regulatory agencies. A primary focus of Lou’s practice is devoted to representing and assisting major industrial clients with environmental and energy related issues associated with developing, acquiring and divesting chemical manufacturing facilities, refineries, and other high-profile energy related facilities. He also represents and assists major industrial clients resolve complex environmental and energy related permitting and enforcement matters. • A major petrochemical company wanted to develop a facility on the Mississippi River while some members of the community and environmental groups objected and raised concerns. Lou lead the team that identified and developed strategies to address the environmental regulatory permitting and local land use challenges to allow the project to go forward. When major environmental permits for the facility were appealed, Lou and his team successfully defended those permits. • A major oil refinery was facing numerous enforcement actions leveled by the Louisiana Department of Environmental Quality and a potential intervention by the U.S. Environmental Protection Agency (EPA). The agencies were asserting numerous violations of environmental regulations at the facility. Lou and his team negotiated a technical and legal resolution that resolved the enforcement actions while also limiting the potential for intervention by the EPA. Instead of paying a large monetary fine, the client agreed to enhance pollution controls at the facility that made it more efficient, improved future compliance, and a better neighbor. • A major international company wanted to purchase an existing chemical manufacturing facility and needed to understand the environmental regulatory issues and liabilities associated with the target facility to determine if acquisition was feasible and to assist in negotiating the terms of acquisition. Lou and his team, along with environmental consulting experts and company technical personnel, conducted the environmental due diligence identifying and evaluating the environmental regulatory issues and liabilities associated with the target facility that was considered in the decision to acquire the target facility and was successfully used by the business team to negotiate favorable commercial terms for the acquisition. • Major chemical manufacturing facilities and a refinery were alleged to be responsible for injuries to natural resources caused from releases associated with past operations. These companies and the federal and state natural resource trustees had been negotiating resolution of these claims for nearly fifteen years. Lou was retained by these companies to evaluate the claims and to development and implement a strategy to resolve these longstanding claims for injuries to natural resources. Lou along with the rest of the team developed and implemented a strategy that resulted in settlement of these claims via a consent decree within two years of his retention. With more than 15 years of public-sector service, Lou helped shape Louisiana's environmental and energy regulatory programs and policies. From the mid-1990s until he began his private law practice in 2011, he served as Assistant Secretary and General Counsel to the Louisiana Department of Environmental Quality, Assistant Secretary of the Louisiana Department of Natural Resources, and Secretary of the State Mineral and Energy Board. Energy companies regularly turn to Lou when they're embroiled in legacy lawsuits. In these oilfield restoration cases, he represents upstream, midstream and downstream clients in administrative, Limited Admission Hearings before the Office of Conservation, and assists Liskow’s litigation teams with the technical and regulatory requirements related to oilfield site restoration. He also coordinates and manages retained experts. South Louisiana Methanol LP (SLM)-during the development of what will be the world’s largest methanol plant once constructed, was faced with newly enacted land use ordinances that jeopardized the project and opposition to major environmental permits necessary to construct and operate the facility. Lou led the team that successfully developed and implemented the strategy to obtain land use approval for the project from the local government. In addition, when the air quality permits were appealed by an environmental activist group and others, Lou and a team of Liskow lawyers led by Lou successfully defended these permits by obtaining a favorable ruling in District Court affirming the Louisiana Department of Environmental Quality’s decision issuing these permits. Lou and his team have also been instrumental in the development and implementation of the strategy to obtain and defend other major environmental and regulatory permits necessary for the project. NOVA Chemicals Corporation in the acquisition of an olefins plant in Louisiana. Lou and his team along with environmental consulting experts and company technical personnel conducted the environmental due diligence identifying and evaluating the environmental regulatory issues and liabilities associated with the facility that was considered in the decision to acquire the facility and was successfully used by the business team to negotiate favorable commercial terms for the acquisition. CITGO Petroleum Corporation-Lake Charles Manufacturing Complex- in handling enforcement actions issued by the Louisiana Department of Environmental Quality and other potential environmental compliance matters by developing the strategy and comprehensively assessing and negotiating a global resolution/settlement of all pending environmental enforcement actions and all other potential environmental compliance matters related to its refinery and other operations in Louisiana. Development, acquisition and divestiture of petrochemical and energy facilities. 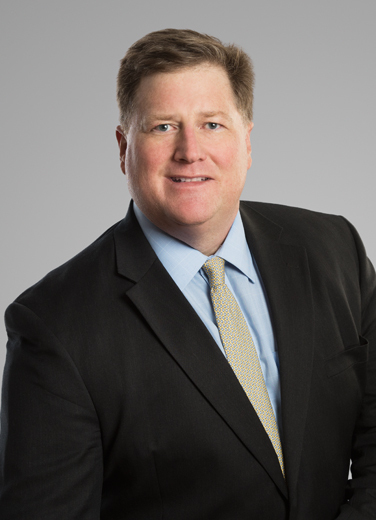 Based on his training and experience as a geologist and as General Counsel and Assistant Secretary with environmental and energy regulatory agencies, Lou helps petrochemical and energy-industry clients where technical and legal issues intersect. For example, his clients rely on him to navigate the myriad of regulatory obstacles associated with plant development projects, permitting, enforcement, and lender due diligence. This includes his recent involvement in a $5 billion liquefied natural gas facility, a major landfill and other Phase 1 and Phase 2 property assessments for both lenders and developers. Salt caverns and hydrocarbon storage. With new environmental regulatory requirements, midstream operators are turning to Lou for help demonstrating compliance or to prepare a plan and schedule to achieve timely compliance. Oil and gas legacy cases. Lou helps gather and analyze the historical land-use and analytical data to assess the nature and extent of response actions options that may be available by law and regulation. He coordinates with experts and evaluates the plaintiffs’ experts’ reports to develop a reasonable and feasible remediation plan to meet the regulatory requirements. In a recent Limited Admission Hearing, Lou helped his client obtain a resolution for a fraction of the potential exposure. Reformed the mitigation program associated with coastal use permits to be more consistent with Louisiana’s Master Plan for a Sustainable Coast. He established an In Lieu Fund program that allowed the state to strategically locate and construct mitigation projects that supports and compliments Louisiana’s Master Plan for a Sustainable Coast. Louisiana Mineral and Energy Board, Secretary. Lou successfully negotiated the settlement of one of the state's most significant concursus proceedings, involving approximately $15 million in disputed royalties and mineral revenue. He also led the effort to develop and coordinate the passage of Acts 875 and 930 of the 2010 Regular Legislative Session that authorized the State Mineral and Energy Board to lease state lands for the exploration, development, and production of energy from alternative energy resources. Prior to joining Liskow & Lewis, Louis was a partner at Jones Walker. "I like to hunt and fish. I also shoot competitively precision long-range rifles. I've even built a couple of rifles. It's something I've been interested in since I was 8 or 9."